Do you want to love yourself and feel confident with who you are as a woman? Are you looking for a way to stop self-sabotaging behavior and nurture yourself instead? 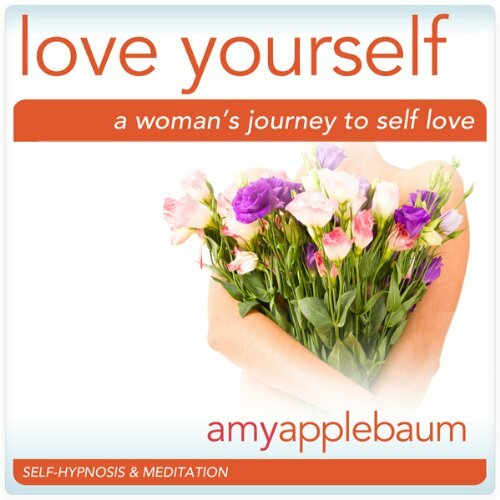 Time to embrace respecting and loving yourself with “A Woman’s Journey to Self Love by Amy Applebaum. A Woman’s Journey to Self Love helps women learn to love themselves so that they can be successful, happy, and love their life, while increasing energy and motivation. Don’t wait another day. Your journey to success starts with loving and believing in yourself. For more information on Amy Applebaum and her products, please visit http://www.amyapplebaumalbums.com. Having suffered with depression my whole life, I finally found something that really helps (besides meds): hypnosis! Over time my mind fills up with negativity and defeat. That's when I put on my earphones and listen to Amy Applebaum. It's like a powerwash for my brain. Any of her hypnosis recordings help. Applesauce is my favorite. I feel like a normal, confident person after listening to just one track. The effect will last about a month. Would you try another book from Amy Applebaum Hypnosis and/or Amy Applebaum? What could Amy Applebaum Hypnosis have done to make this a more enjoyable book for you? Looking for a walk in the woods ?